Jealous and embarassed at the same time! Look at Ms. Kendra rockin’ her slanket! I am sooo jealous and embarassed at the same time! OK, I will say it. I. Want. Need. 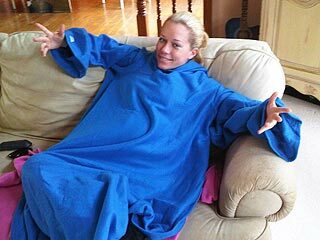 A. Snuggie. There. Done and done. Reading this, Husband?